Payette River Games are this weekend! Heading to the Payette for some paddling over the long weekend? 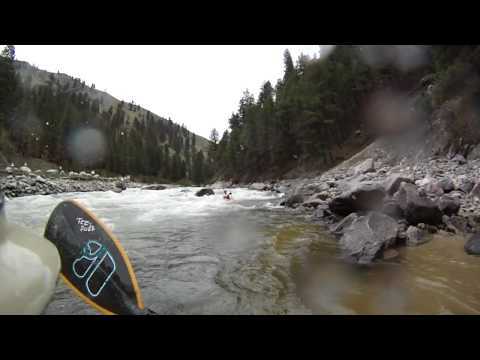 Check out our GoPro River Guide for the Staircase Run on the Payette’s South Fork. BANKS, Idaho — After three days of closures, Highway 55 from Banks to Garden Valley reopened Thursday morning, according to the Idaho Dept. of Transportation. However, officials say the Springs Fire between Banks and Crouch continues to slow traffic on Valley County’s busiest roadway. A spot fire that jumped out of the 2500 acre Springs Fire near Banks has put more homes in danger as fire crews continue to battle flames and searing hot summer weather in Boise County. handful of homes in the Phillips Creek area in danger, Boise National Forest officials say. Those residents were given notice that they may have to leave their homes but no official evacuation notice had been given as of 8 a.m. Wednesday. Wildfire on Payette SF – May Hinder Boating today. BOISE COUNTY – A wildfire burning along the highway between Banks and Crouch is causing delays for motorists traveling in that area. A good wave lifts all boats. It also lifts the businesses that rent those crafts and the spirits of people who play in them. Activities: Free concerts on site over the festival weekend. Bands TBA. Visit: www.kwpid.com for more info. The World Championships of Surf Kayaking will be getting cranked up Thursday with safety checks and opening ceremonies. Then the action starts Friday. Everyone is starting to show up now. Jeannette’s Pier is seeing a lot of activity with new competitors showing up every day. Devon Barker and the rest of the team have been working with Troy – getting him dialed in on the surf. The transfer from river to ocean seems to going well since the team has been very helpful. The comp has been moved from Waves to Nags Head after Hurricane Irene and it seems to be a great venue for the event. The event organizers did a FANTASTIC job of getting the event moved and arrange housing for all the athletes and their families. Nice work!! Will update as things get cranked up. Here are some pics of Troy and Devon during training this afternoon. Getting Ready for Nationals at KWP this weekend! Looking forward to Nationals at KWP in Cascade Idaho this weekend. Weather is looking hot for the week and there will be no shortage of water! Cascade dam is releasing 4060 cfs currently and the reservoir is still rising. Above is one of the awesome paddlers you will have a chance to see this weekend, Boise local Alec Voorhees.